Hospitality technology leader, eRevMax will be attending ITB Asia, being held at Marina Bay Sands Singapore, to talk about technology and innovation in travel. The company’s COO, Yoram Ben-Zvi has been invited to present LIVE OS at the Innovation Travel Tech being hosted by InnoVel on 27 October 2017 at the Knowledge Theatre, Basement 2 at ITB Asia. “ITB Asia is one of the premier hospitality events and InnoVel, which is hosting the travel technology track, is a new breed of innovation center. LIVE OS is the first hospitality operating system providing hotels a platform to integrate all their tech providers for better control and efficiency of every day operation. 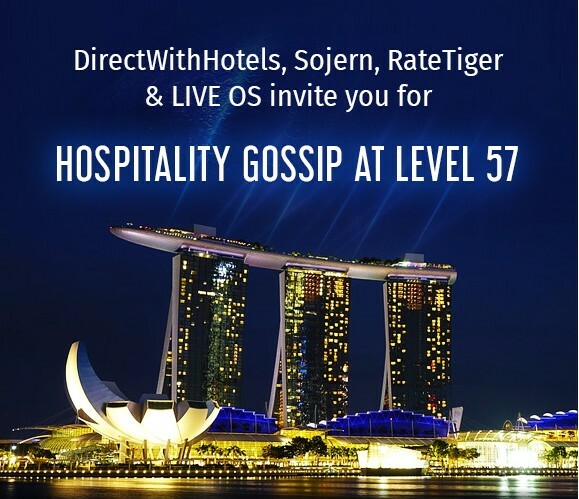 LIVE OS has been attracting a lot of interest from hotels and technology partners alike, and will now be showcased at ITB Asia for the first time. We are happy to join forces with brands that focus on innovation for the hospitality industry, putting hoteliers at the centre,” said Yoram Ben-Zvi, Chief Operating Officer, eRevMax. Meet the team at ITB Asia from 25 – 27 October 2017 – contact marketing@erevmax.com to set up a meeting. The fourth edition of ITB Asia gave a record performance and attracted 7511 trade visitors representing 91 countries. Exhibitors from over 70 countries were represented from as far as Botswana, Finland, Croatia and Iraq as well as partner country Japan who reported an increase in business activity at ITB Asia 2011, reiterating the strength of the regional travel industry despite economic uncertainties. RateTiger was among the exhibiting team and had a great show. I was there as part of the Asian sales team and was very glad to meet old and new clients as most people attending the show are now aware of our presence in this event. We received rave reviews about our product as well as visibility in the region. Our discussions with hoteliers and travel fraternity revolved around the benefits of integrating with RateTiger as well as the necessity of Channel Management software in today’s time. Keith Povah, Division President – RTSuite gave a presentation on “The evolving world of hotel online distribution” which was very well received by attendees. We had a pretty successful show and managed to create various new contacts. I look forward to ITB Asia 2012 which is expected to be bigger and better.